The prosecution has indicted 38 officials from South Korean commercial and provincial banks, including former and incumbent chiefs, on charges of exerting inappropriate influence on entry-level employment, in the latest development in the local financial sector’s hiring scandal. 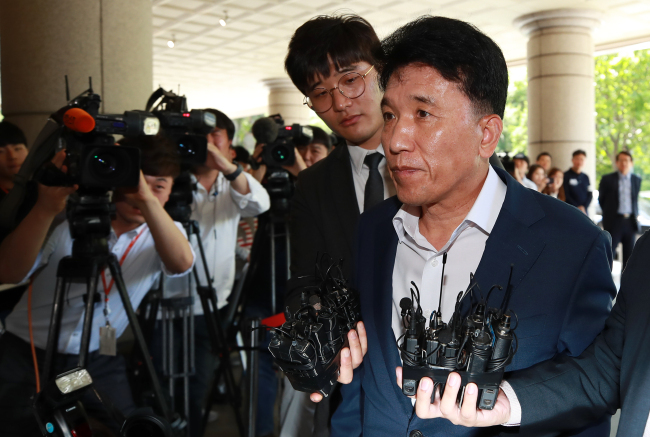 The Supreme Prosecutors’ Office on Sunday announced it had sent the officials, including KEB Hana Bank Chief Executive Ham Young-joo and ex-CEO of Woori Bank Lee Kwang-goo, to trial. While Ham and Lee were booked without detention, 12 out of the 38 remain in pre-trial detention, according to prosecutors. 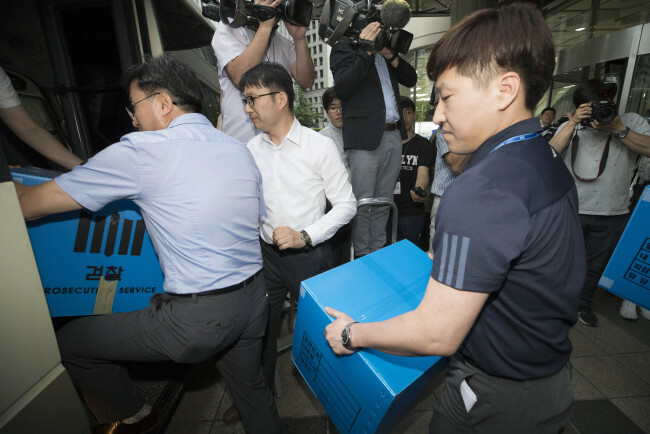 The authorities also announced that the incumbent heads of KB Financial Group and Hana Financial Group -- Yoon Jong-kyoo and Kim Jung-tai -- avoided prosecution for similar criminal charges, due to a lack of evidence. The two chiefs were allegedly involved in the hiring processes of the group’s respective banking units, KB Kookmin Bank and KEB Hana Bank. Since November 2017, prosecutors had looked into the cases, based on findings of the market watchdog Financial Supervisory Service. The misconduct ranged from employing candidates based on personal ties with or recommendations from bank officials, by gender and by academic background, even though the candidates did not meet the criteria for employment. Of all 695 cases, some 87 percent were committed by officials of either KB Kookmin Bank or KEB Hana Bank. Officials of Woori Bank, Busan Bank, Daegu Bank and Kwangju Bank were also indicted. Korea is home to four homegrown nationwide commercial banks -- Shinhan Bank, KB Kookmin Bank, KEB Hana Bank and Woori Bank -- while the two other commercial banks -- Standard Chartered Bank Korea and Citibank Korea -- are subsidiaries of global banking groups. Shinhan Bank was an exception from the prosecution’s announcement Sunday, because the investigation into it had yet to conclude. To prevent such scandals from repeating, the Korea Federation of Banks has come up with a set of internal guidelines for offering equal opportunities to entry-level candidates for employment. The guidelines -- including eliminating discrimination and implementing written tests -- are set to be confirmed by the end of June. Since Woori Bank was under scrutiny for hiring misdeeds revealed in October 2017, the targets of investigation by the financial authorities have widened to all banks. During the probe, Lee offered to step down last year on growing allegations of hiring misconduct. A former head of the financial watchdog, Choe Heung-sik, was also found to have been involved in the employment scandal, leading to his immediate resignation.